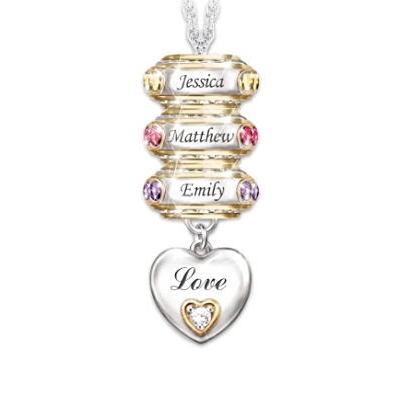 This unique necklace features up to 6 moveable roundel charms each engraved with a grandchild’s name. 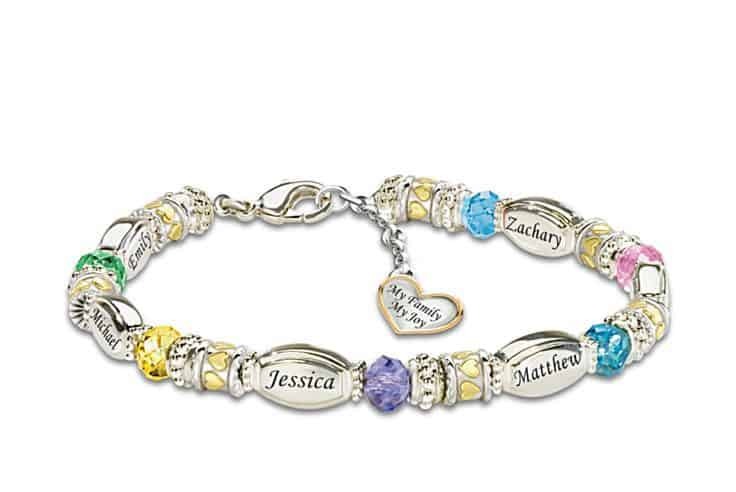 The charms are accented with the corresponding birthstone. 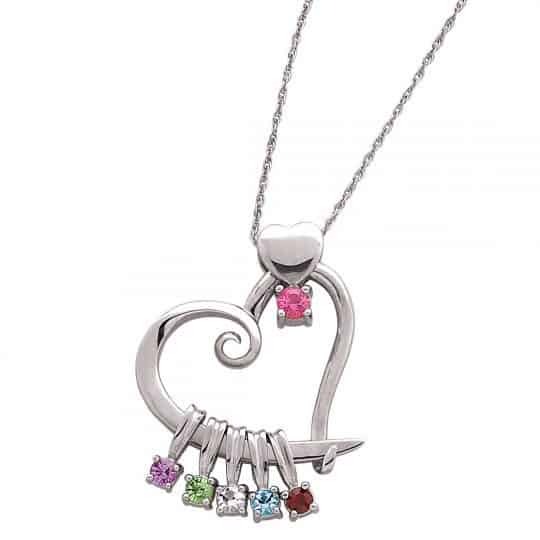 A heart-shaped charm anchors the necklace, and is engraved with the word “Love” on the front and the phrase, “My Family, My Joy” on the back.